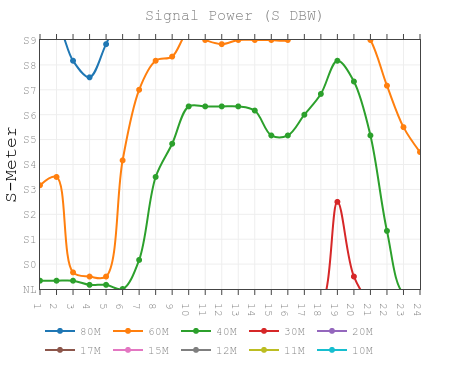 Two plots are presented, one for a 25 Watt output station and the second for a 100Watt station. Isotropic antennas are assumed at both ends of the link along with a high noise floor. 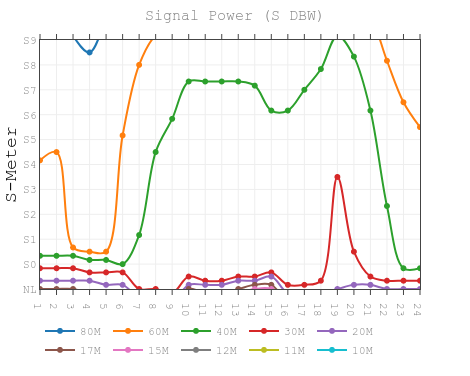 The plots show the S meter reading expected on the path 50% of the time. By default the predictions are therefore pessimistic though it is hoped to merge the antenna models from elsewhere on this website to provide a more representative prediction. Emergency Comms Activities in Region 1 – Oct 13/14.